The year that ends today had to end. But with it 2009 cannot end. 2009 will continue to remind us of how Governments grabbed by agents of crumbling capitalism have played havoc with human life. If journalists are the sentinels of human society, “A total of around 160 journalists in all continents were forced to go into exile to escape prison or death, often in very dangerous circumstances” informs Vincent Brossel, from Asia-Pacific Desk of the Reporters Without Borders (RWB). Brossel marks 2009 for “two appalling events: one, the largest ever massacre of journalists in a single day – a total of 30 killed – by the private militia of a governor in the southern Philippines and the other was an unprecedented wave of arrests and convictions of journalists and bloggers in Iran following President Mahmoud Ahmadinejad’s disputed reelection”. Pointing at other forms of violence, he shows, “physical assaults and threats have gone up by a third (from 929 cases in 2008 to 1,456 in 2009). Journalists are most at risk in the Americas (501 cases), particularly when they expose drug-trafficking or local potentates. Asia comes next with 364 cases of this kind, chiefly in Pakistan, Sri Lanka and Nepal. The number of censored media is escalating alarmingly with nearly 570 cases of newspapers, radio or TV stations banned from putting out news or forced to close”. According to Secretary-general Jean-François Julliard of RWB, number of journalists killed in 2009 is up by 26 per cent. “Almost every journalist killed in 2009 died in his / her own country. The exception was Franco-Spanish documentary film-maker Christian Poveda, who was murdered in El Salvador. RWB as well as Reporters Sans Frontiers (RSF) have documented that 76 journalists have been killed in 2009 as against 60 in 2008. The number of journalists kidnapped is 33 when 1456 have been physically assaulted and 73 subjected to arrest by police. Similarly 151 bloggers and cyber dissidents have been arrested and 61 physically assaulted even as a blogger has been killed in prison. As many as 157 journalists have fled their countries when 60 countries have promulgated online censorship and as many as 570 numbers of media censored. “Less known to international public opinion than the foreign correspondents, it is these local journalists who pay the highest price every year to guarantee our right to be informed about wars, corruption or the destruction of the environment,” Julliard has said. We in Orissa have witnessed in 2009 how local journalists have been subjected to brutal atrocities perpetrated by the corrupt executive and parliamentary wings of democracy. When Jagannath Bastia of Samaj at Puri is an instance of political brutality, Laxman Choudhury of Sambad at Mohana is an instance of police atrocity. 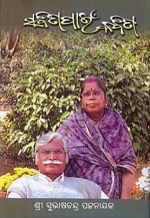 2009 has also witnessed how Sriharsha Mishra and Kiran Mishra, representing a daily published from Bhubaneswar were subjected to administrative violence by the Collector of Jharsuguda district as they were trying to dig out reasons of the premature death of farmers in the district. So, to us in the media, 2009 is our witness to assault on Free Press not only in Orissa but also everywhere by miscreants in power. From offences against Free Press found in maximum numbers in the Americas it seems that collapse of capitalism is causing so much uncertainty in profit sphere that out of frustration the profit mongers are becoming more and more violent. Collapsing capitalism is seeking refuge in corruption to survive and journalists being sentinels of peoples’ cause, practitioners of corruption are finding the most formidable obstruction on their way in them and hence are trying to curb Free Press by intimidating or eliminating journalists through state-terrorism. The more is the oppression on journalists, the more discernible is the frustration that has started engulfing the horizon of capitalism. 2009 gives us this assurance. Hence to us, 2009 shall not end. It shall go on reminding us of the tremendous sacrifice scribes all over the world have made in pursuit of their role as sentinels of society as a result of which the capitalists and societal culprits have become so unsecured that following the dictum that attack is the best policy of defense, have attacked Free Press and the Press persons so dastardly. Super supremo of Ruling BJD, Pyari Mohan Mohapatra, in an interview to OTv, on the occasion of 14th foundation day of his party yesterday, has claimed that it would stay in power for the next 15 years in Orissa. Why 15, not 20 years? The way Orissa’s mineral wealth is being looted under the umbrage of administration and squandered away by the government itself, ever since Navin Patnaik of BJD has taken over as Chief Minister, meteorologists and scientists of relevance are sure that the State shall be totally denuded of its stock within 15 years from now. And, the way Orissa has been led into the grip of non-Oriya land-grabbers; there should be no land to lease out after 10 years from now. So, naturally after 15 years from now, if the BJD stays in power till then, Orissa shall have no natural resources to loot. There shall be nothing in Orissa to feed the power vultures any further. And naturally it should have no attraction for BJD after 15 years. How could Mohapatra be so sure of occupying power for next 15 years in Orissa despite under Navin the plundered province has earned the ignominy of being viewed as the most wretched amongst all the States in the den of poverty in India? Are the people of Orissa such idiots that BJD will continue in power for next 15 years? No, they are not the idiots. In the last election they have wisely rejected the party of USA lobbyists, the Congress. In the last election, they have also rejected the party of profiteers, the BJP. They have bitterly punished the communists as, instead of initiating class war, their leaders have shown aptitude to ally with the agents of capitalism. So, it cannot be said that Orissa citizenry has no ability to reject wrong doers. But BJD is in power because both of its mainstream opponents – the Congress and the BJP – are so densely anti-people that rejection to BJD could have helped them and hence would have become more disastrous. Mohapatra has composed his hope for BJD on this ground only and he knows, if his party stays in power for further 15 years, there shall be no mineral and natural wealth left in Orissa to allure the pack of his feather any more into electoral politics. This is why his stress is on 15 years from now; not on 20. And, if EVMs are not discarded or tampering thereof is not made impossible, any combine of criminals donning attires of political parties, may occupy power sans support of the people. So, BJD can continue in forming governments in Orissa till her entire mineral and natural resources are exhausted, which may take 15 years in the present speed of plunder. People of Orissa are in quandary, no doubt. 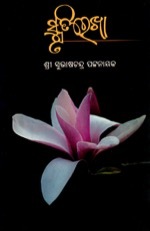 Prof. Dr. Sneha Das was the speaker of honor on launching of Smrutirekha, Subhas Chandra Pattanayak’s poetic novel depicting a saga of a living tally that was lost to the hero of the book. 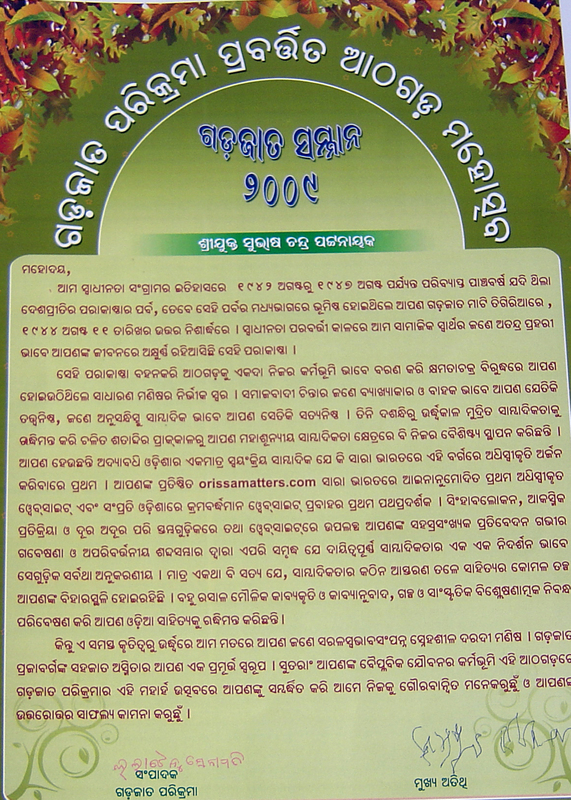 Her speech is reduced to letters and published in print media including the Khabara. 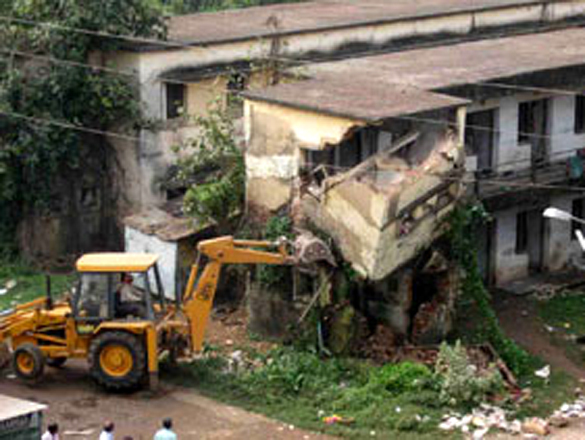 For whose benefit the Government was in a hurry to demolish a Government–owned apartment complex in Unit VIII, Bhubaneswar, is not yet known; but its recklessness in demolition has mortally injured two private persons as the structure abandoned half-crushed crumbled upon them on December 17. Known as Bachelors-barrack, the apartment complex was built up by the Government for unmarried or newly wed officials and for transit stay of personnel on transfer. 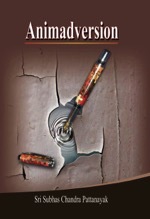 It was not properly maintained and hence was in need of major repair. 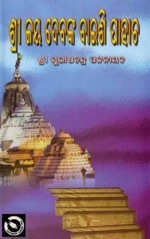 But as land-grabbers have found Bhubaneswar a safe grazing ground with commission agents ruling the roost, it was decided to demolish this invaluable complex instead of repairing to suit the design yet unannounced and delay in this respect was intolerable to the General Administration Department that the Chief Minister directly controls. 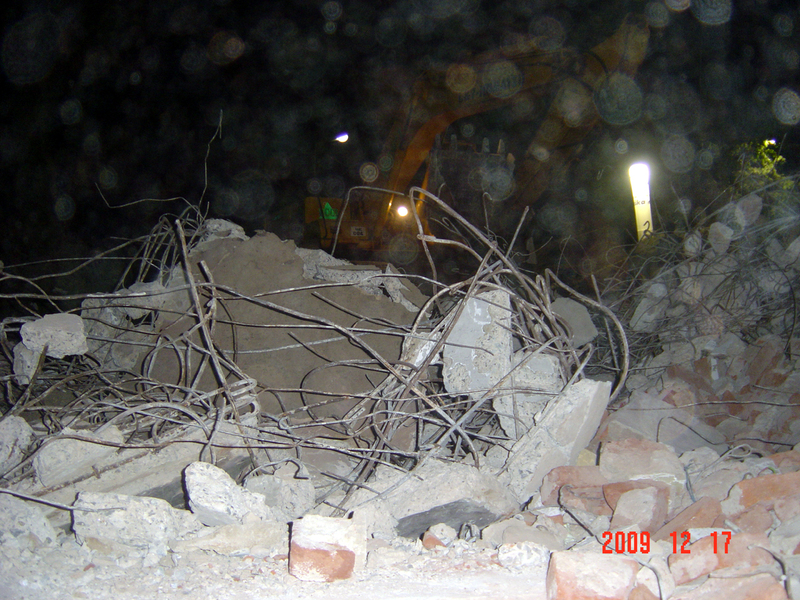 Thus the demolition started without planning and precaution. Human life was of no relevance to persons who were eager to carry out the demolition. They half-crushed the complex and abandoned it sans any guard, as to them, the message that it would not be repaired but the land it stands upon would be available for different use was delivered aloud. This induced the tragedy. Eager to grab abandoned scraps, many a poor person as well as scrap traders’ agents started combing the debris. 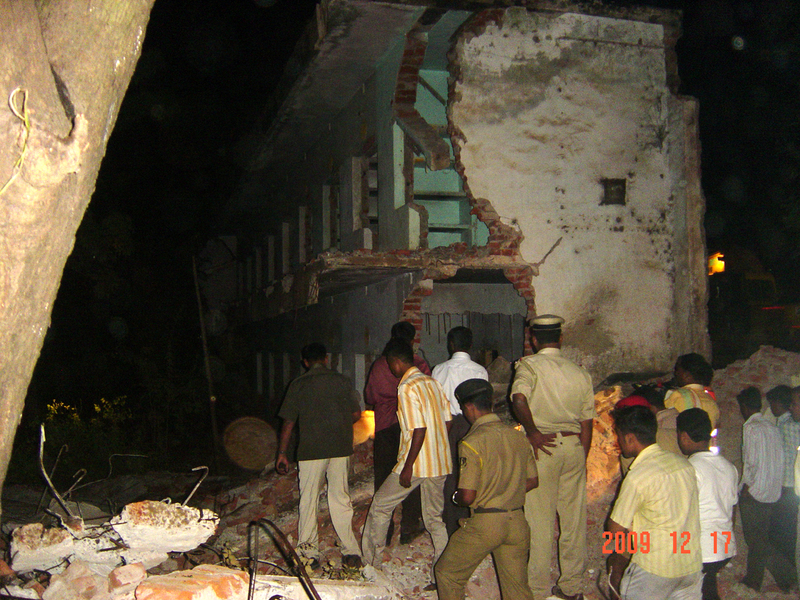 They had no awareness that the half-crushed structure somewhere would crumble upon them. 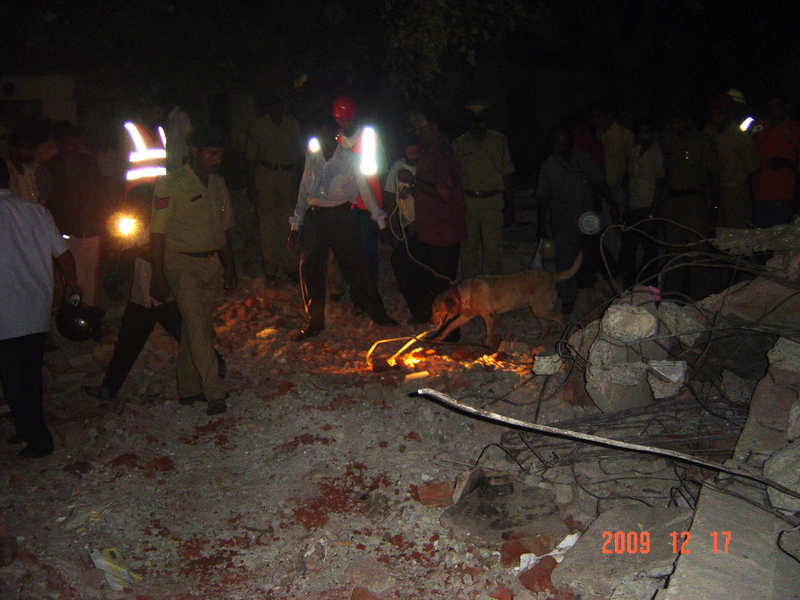 As it happened, routine rescue operation commenced. The historical convention of Journalists of Orissa, held in the State Information Center, (Jaya Dev Bhawan) has resolved to observe December 14 as the Day of Media Unity for Freedom of Press every year. It was a congregation of scribes beyond boundaries of trade unions to express solidarity with Laxman Choudhury and his family, tortured by the State as he stayed true to the callings of his profession and went on filing reports on the nexus between the police and the marijuana underworld. Choudhury was arrested by the police at Mohana on September 20, 2009 and thrown into the jail from where he was released on bail by the High Court of Orissa only on December 1. The police have framed up him under charges of sedition on flimsy grounds such as seizure of Maoist leaflets addressed to him in transit from a private bus. The system has gone so astray that when discernible looters of Orissa’s mineral wealth are granted bail or anticipatory bail in remarkable speed, it took a journalist long forty days to get back his liberty on bail from the High Court, even with a legal luminary like Jagannath Pattanayak voluntarily pleading his case, roared Rabi Das, stressing on the need for reform of laws governing bail so that the discretionary power no further remains discriminatory. Prasanta Patnaik, presiding over the convention, had set tone to the deliberations with the clear message that no journalist should feel abandoned by his friends in the profession when loyalty to his duties lands him / her in framed up cases or in any other disadvantage. The media unity evolved in protest against harassment of scribes will continue to stand solidly behind tortured scribes in future, he declared. He called into memory the atrocities perpetrated on uncompromising reporter Swaroop Jena by the fellows in power that were being exposed threadbare by him and how the unsung hero had finally succumbed to that brutality. He gave a vivid description of all the instances of atrocities the scribes have been subjected to because of their commitment to their profession and called upon all section of the public to stand with the scribes for protection of freedom of press. 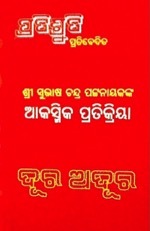 Subhas Chandra Pattanayak stated that since diversification of priority from welfare to industry, journalists in increasing numbers have been subjected to administrative atrocities in Orissa, because as sentinels of society they have exposed the foul play of the profiteers and their politico-executive cohorts. 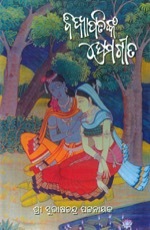 Swaroop Jena was the first victim. Portending more rigorous prosecution against journalist as plutocracy would try to tighten its grip, Pattanayak recalled Dr.Ambedkar, who, in his concluding answer to debates on the last day of the Constituent Assembly, had warned that economic dissimilarity, which the Assembly had been forced to accommodate under peculiar circumstances vitiated by overwhelming presence of the propertied class in it, would eventually destroy democracy if the first Parliament elected by the masses fails to remove the contradiction. Regrettably the Parliament failed and the contradiction is continuing and the agents of the rich have transformed democracy to plutocracy, he pointed out. Journalists are proud of comprising the forth estate in democracy. They cannot cherish changing to forth estate of plutocracy. Hence the agents of plutocracy never feel secured before a fearless press. This is why they use and will always use all the methods of intimidation against the uncompromising journalists, he warned and welcomed the emergence of the new media forum to save the last hope for democracy, the forth estate. Sudhir Pattanaik harped on consolidation of media unity even as Jatin Dash emphasized on eternal intelligence against impediments to freedom of press. RTI activist Biswajeet Mohanty, progressive advocate Biswapriya Kanungo and Prof. Nilamani Sahoo welcomed the convention and pledged their support to the community of scribes in their mission of protecting free press. 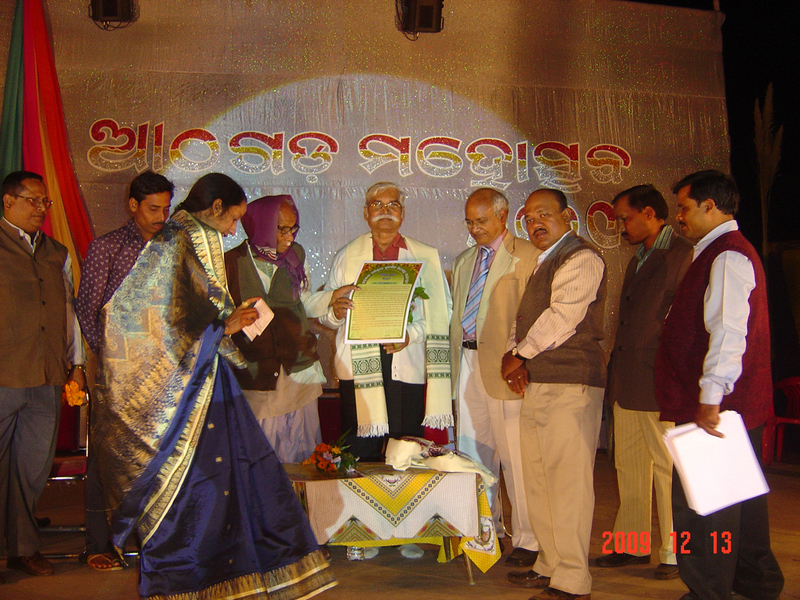 Eminent activists like Uma Ballav Rath and Radhakanta Sethi were present. Jiten Padhi, Satyajit Mishra and Bana Bihari Mohanty expressed that the convention itself is indicative of how misuse of power against media has crossed tolerable limits. Soumyajit Pattanayak emphasized on the need of a space for solidifying togetherness amongst media persons. 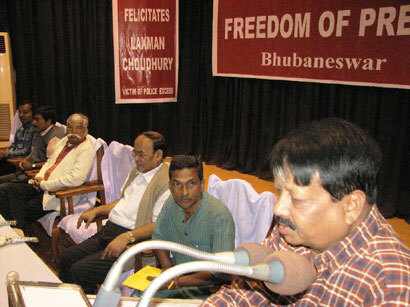 Prafulla Das in his introductory address expressed that the felicitation to Laxman Choudhury is symbolic of the solidarity of scribes in the cause of democracy and coordinated the convention. On behalf of the media community, Sampad Mohapatra thanked Jagannath Pattanaik, former President of Bar Council of India, for having voluntarily taken up the case of Choudhury and for his pleadings, which fetched the bail. He also thanked Advocate Jayant Dash for his similar role in Lenin Roy case. It was a mockery of administration of law to have entertained a misconceived police allegation hurling sedition charges at Choudhury on the basis of its unilateral seizure of Maoist leaflets from a private bus conductor allegedly meant for delivery to him. Were it been real that Choudhury was the person to whom the leaflet packet was addressed, how any sane man could found sedition therein, he wondered. 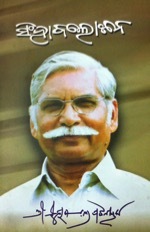 He declared that the journalists have the right to go through any political literature including that of the Maoists as that forms part of their professional needs to keep themselves abreast of political activities and hence, possession even of Maoist literature can never be construed as sedition. He moved the following Resolutions to which Rabi Das seconded and the entire House unanimously supported. 1. Media Unity for Freedom Press Convention resolves to fight any attempt by the powers that be to muzzle or gag the Press. It also resolves to pledge support and all possible help to any one who faces attacks or threats in any form from any source while pursuing or performing his professional duties as a news person. 2. MUFP demands that the State Government pass necessary orders to ensure that prior to slapping charges such as sedition, waging war against the State and criminal conspiracy against any working journalist – whether accredited, self-employed or freelance- the concerned police officials seek the recorded approval of the State Home Department, preferably of its Secretary. 3. MUFP calls upon the Chief Minister to honour his promise to a delegation of scribes by withdrawing all charges leveled by the Mohana police against Sri Laxman Choudhury. A quick and favourable response by the Chief Minister in this matter will pave the path for a healthier interface between the media and the administration. 4. MUFP also calls upon the state government to take stringent action against the people who were behind the murderous attack on fellow journalist and green activist Sri Jagannath Bastia as well as the government employees who assaulted two journalists working for the Oriya daily, Arombh. The State should compensate them for all medical expenses incurred by them towards treatment. 5. MUFP expresses its sincere gratitude to leading High Court lawyer and former President of the All India Bar Council Sri Jagannath Patnaik who went out of his way to fight for the release of Sri Laxman Choudhury without expecting or taking a single rupee towards his professional fee. We also wish to thank all lawyers, rights activists, individuals and organizations, especially the Paris-based international body of journalists, the Reporters Sans Frontiers (RSF) who stood solidly behind our effort to get Sri Choudhury out of jail. 6. 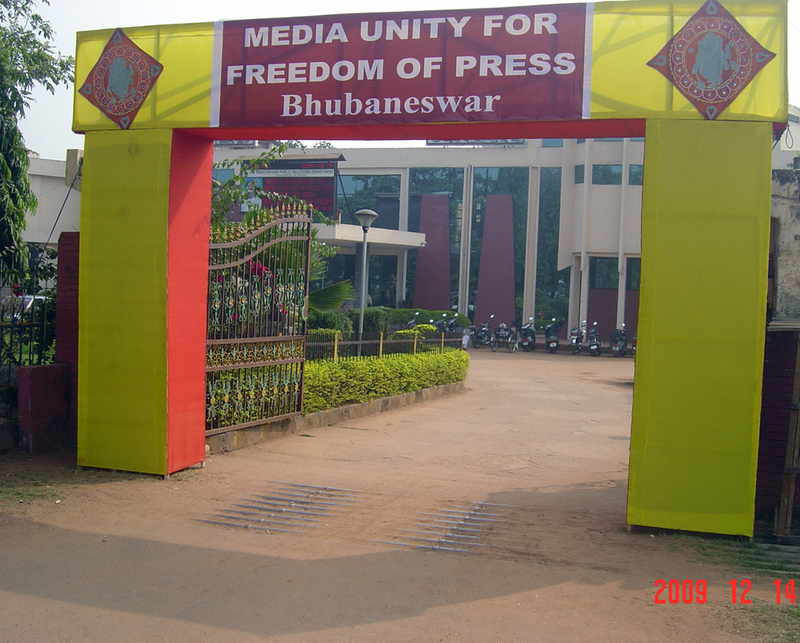 MUFP demands the setting up of a State Media Centre on the vacant space inside the Jaydev Bhawan premises with minimum facilities such as a media room that offers Broadband and P&T services on usual payment, an auditorium with a 200-seat capacity to be used for press briefings and conferences, a reading room, a library and a canteen. The state government should respond to this at the earliest. 7. MUFP resolves to launch under its own title i.e. Media Unity for Freedom of Press, a website that would serve as a common platform for journalists and those who defend and value press freedom. The website would also act as the watchdog of the free press and facilitate debate on issues, incidents and questions that have a bearing on freedom of press in particular and those affecting democratic norms and practices in general. 8. MUFP resolves to appeal to editors and management of all newspapers and channels both at the State and National level to ensure that media personnel working for them in rural, tribal and areas under ultra-political activities in the most difficult and challenging conditions are given proper recognition and identity cards. That could help them immensely vis-à-vis questions on their status raised randomly by the authorities especially the police. 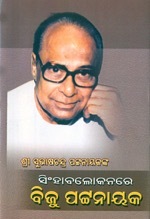 Years after the event, on September 12, 2013, the speech of Sri Subhas Chandra Pattanayak on foundation of MUFP, as recorded by Laxmi Prasad Pattanayak, was retrieved from old records. As it is of referral value in the life of MUFP, we are sharing the video above. Bhubaneswar, Dec. 14: Journalists of the Capital city of Bhubaneswar and other parts of Odisha on Monday warned the State government and the police administration not to meddle with press freedom. A number of senior journalists of the State who addressed the convention titled `Media Unity for Press Freedom’ condemned the arrest of Mohana-based journalist of Odia daily `Sambad’ Laxman Chaudhury in September this year. Chaudhury – who was arrested by the Gajapati district police for his alleged links with the Maoists and remained in judicial custody for over two months before he was granted bail by the High Court – was felicitated on the occasion. The journalists who came together in a rare show of unity also blamed the Puri district police for not taking action against those who badly attacked Correspondent of Odia daily The Samaj Jagannath Bastia a few weeks ago. Bastia, however, could not attend the convention as he had suffered fractures on one of his legs when he was attacked by some anti-social elements. They also criticised the Jharsuguda district administration for misbehaving with two journalists of Odia daily `Aromv’. A series of resolutions were passed at the convention where it was decided that December 14 will be observed as Free Press Day by journalists across Odisha. state, sedition and criminal conspiracy are brought against any working journalist, accreditated or otherwise,demand for immediate withdrawal of such charges against Sambad reporter Laxman Choudhury as well as arrest of the masterminds behind attack on Samaj reporter Jagannath Bastia, stringent action against officials involved in manhandling of two journalists of Oriya daily Aaromv. The convention thanked senior High Court lawyer Jagannath Patnaik , the Paris based international body Reporters Sans Frontiers ( RSF ) and all those who stood solidly behind the effort to get Laxman Choudhury out of jail. A resolution demanding the setting up of a State Media Centre in Bhubaneswar was also passed. The Convention has decided to observe 14 December as the Free Press Day every year and to respond to any threat or attack against any working journalist in the state. It has also decided to appeal to editors and management of all publications and channels to ensure their representatives working in rural as well as Maoist-affected areas get proper recognition and identity cards. Journalists from different districts also took part in the convention. Politicians, social activists and lawyers also participated in the convention and expressed solidarity with the journalists of the State.